Last week we learned that the National Cathedral still needs $18 million worth of restoration work to deal with damage from the earthquake that hit August 23, 2011. 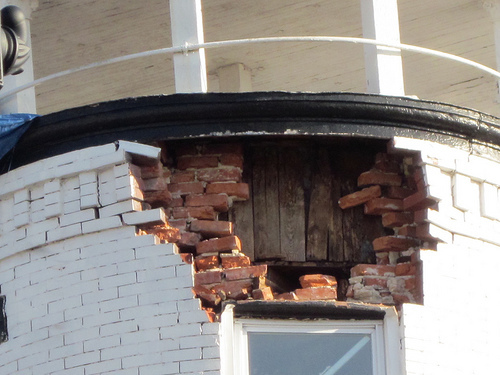 Walking around town, I’ve realized there are a lot of smaller buildings that need help too. 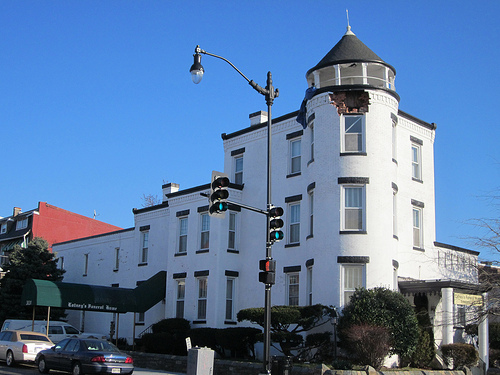 In particular, I’m sorta terrified of the damage at the funeral home on the corner of Randolph and Georgia Ave, NW. It looks like the whole thing up top could come crashing down.